Just days before Venezuela’s parliamentary elections, the Pew Research Center released results of a survey showing most Venezuelans give President Nicolás Maduro poor ratings on his handling of national issues. 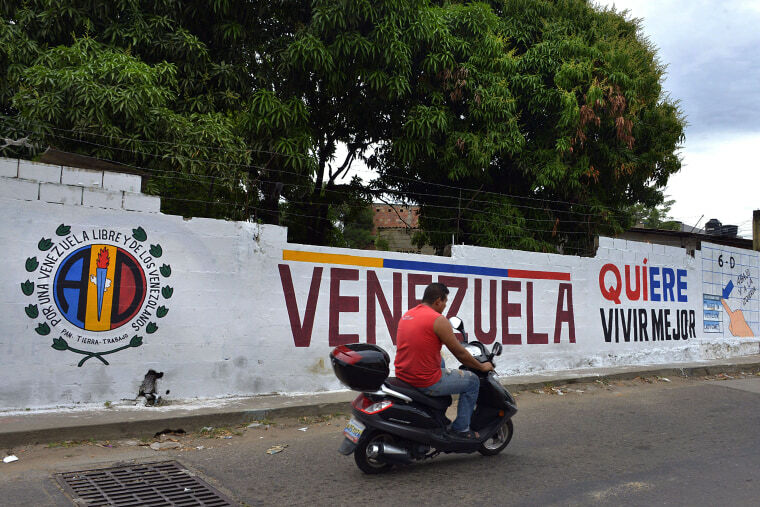 The center’s survey released Thursday shows 85 percent of Venezuelans said they were dissatisfied with how things are going in the Latin American country, a significant jump from 57 percent in 2013, just after the death of Maduro’s predecessor, Hugo Chavez. A top concern is rising prices, labeled by 9-in-10 Venezuelans as a very big problem, followed by lack of jobs, 85 percent; shortages of goods, 84 percent and crime 82 percent. The elections are scheduled for Sunday with control of the country’s National Assembly at stake. A loss by the Socialists would cede control of the nation's legislative body to opponents of Maduro’s administration. Pew found large ideological divides in the country, with those on the political left consistently supportive of government policies, with positive views of Maduro, having less concern about major problems affecting the country and more positive about the country’s direction. The survey of 1,000 Venezuelan adults was done through face-to-face interviews from April 6 to May 6. Reuters reported Wednesday that a poll by Datanalisis in November showed an 11 point jump in Maduro’s popularity to 32.3 percent. In the Pew survey, Maduro had a 29 percent favorability rating.